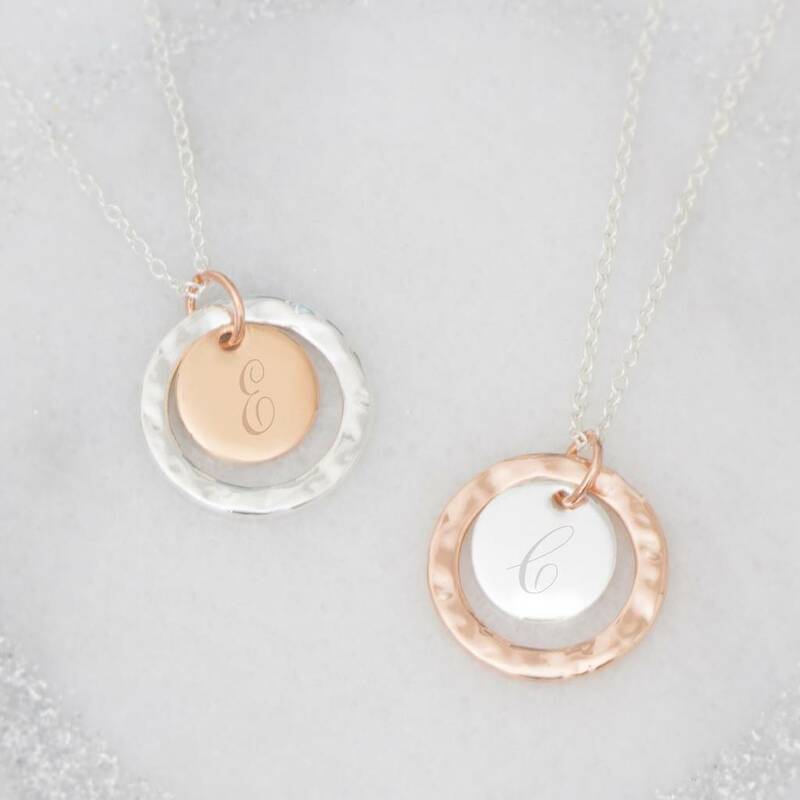 Our pretty Personalised Halo Initial Disc Necklace features a stylish hammered circle pendant with an initial disc. Available in children's, standard or long length. 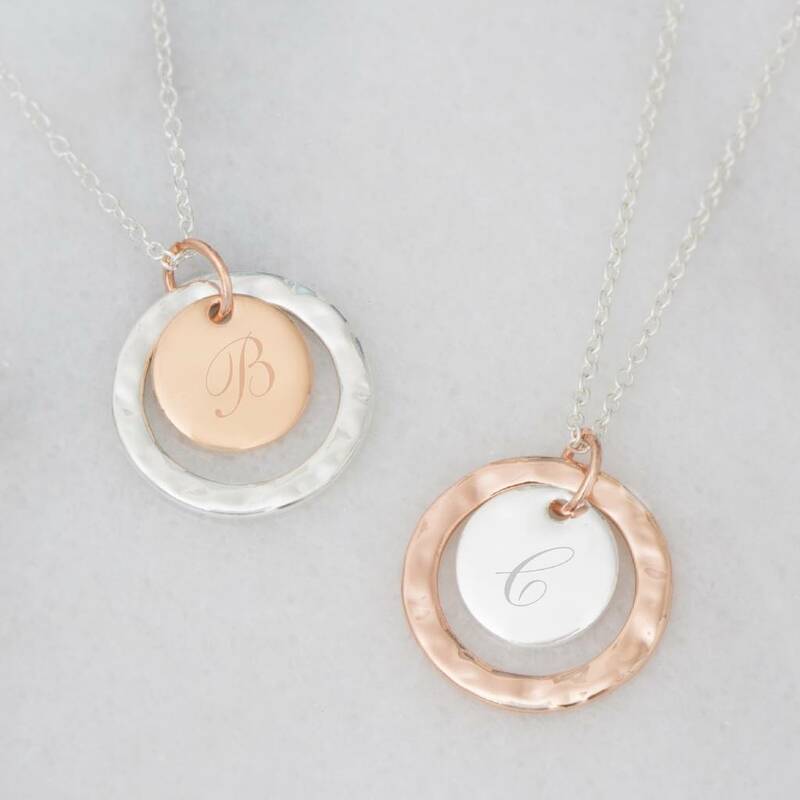 The Halo Silver Plated Birthstone Necklace features a silver or rose gold plated trace chain. A special, personal gift. This necklace is part of our new Halo collection of jewellery, designed to take you effortlessly from day to night. 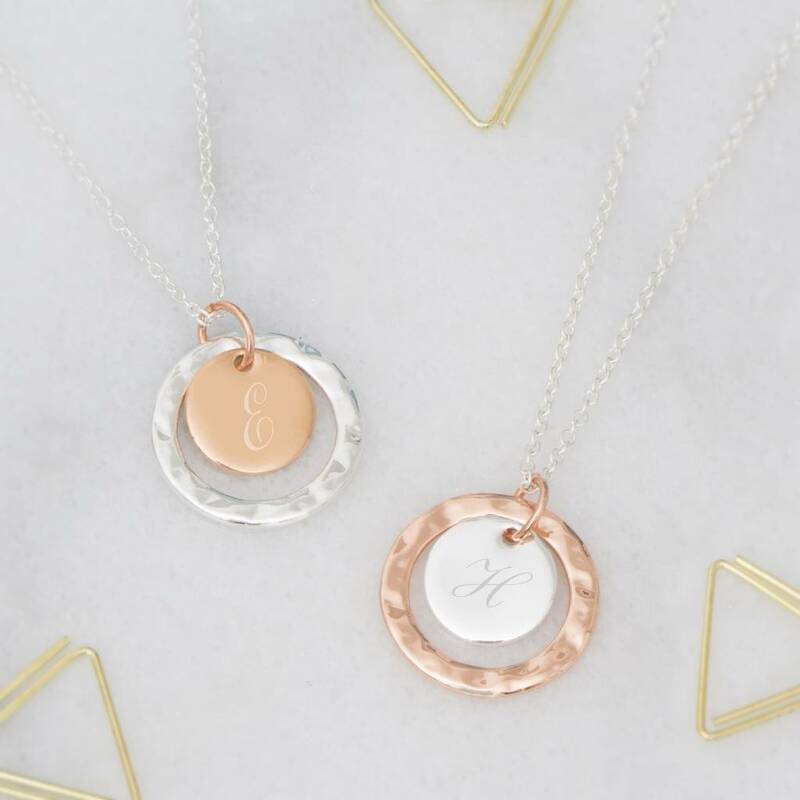 Create your own look with the option of choosing silver, rose gold or mixed metal. 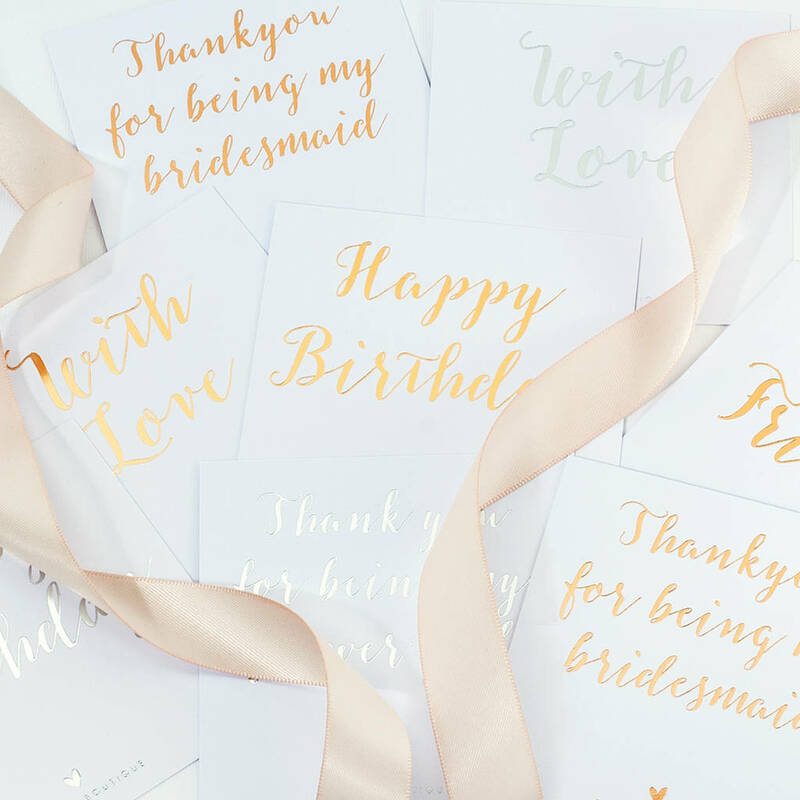 Our experts in the jewellery studio hand make each item for your order.